EAST WHITTIER – Student filmmakers from Hillview and Granada middle schools were recognized by the Los Angeles County Office of Education (LACOE) for self-produced public service announcement (PSA) videos focusing on digital equity, anti-bullying and school spirit, winning four 2017 Digital Voice Awards. The Digital Voice Awards honor exemplary classroom instructional technology projects that align and reflect the California state standards. The award winners were announced on April 26. 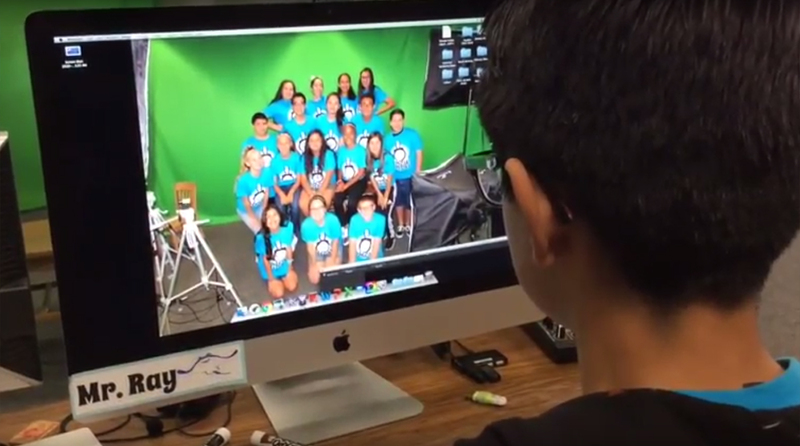 Hillview and Granada garnered two Digital Voice Awards apiece, highlighting the technological skills acquired in East Whittier City School District’s video production classes, where students chronicle campus life through weekly video news broadcasts they write and edit themselves. Competing with schools from across the Southland, East Whittier City videos won Digital Voice Awards for its Character Education Video, Anti-Bullying Video and Secondary PSA Video. This is the third consecutive year Hillview students have been recognized for their films. This was the first year Granada students submitted their work. After receiving an assignment, Nguyen’s students generate all of the video content themselves, writing the scripts, casting the actors, selecting the locations and choosing the music. Videos are shot on iPads and GoPro cameras, and edited on iMacs or on Mac minis equipped with iMovie. 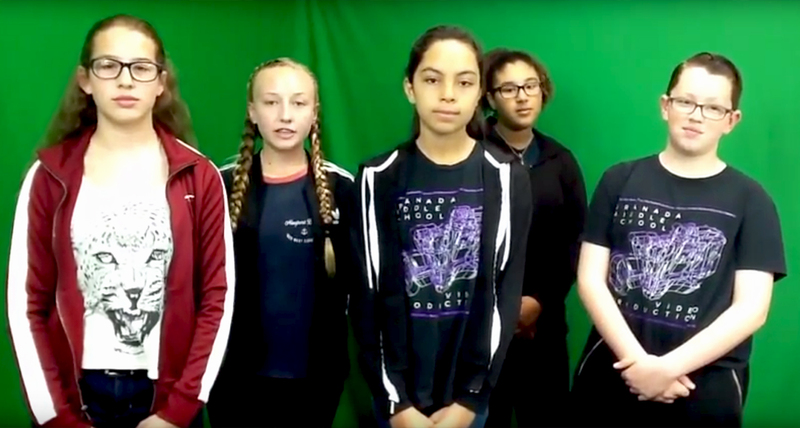 Addressing issues that go beyond their campus, Hillview students detailed how lack of technological access for low-income students intensifies the achievement gap in their video, “Raising Awareness of Digital Equity: A Documentary”. “If only some students have access to technology at home to get their work done, not all students have a fair chance of succeeding in school and getting good grades,” Hillview seventh-grader Justin Toyoshiba said in the video. Hillview’s digital equity video received additional recognition after being submitted to the Digital Equity Student Video Challenge, a nationwide video competition, placing in the Top 11 videos. Nguyen began her first video production class at Hillview in 2014, using the school’s morning bulletin announcements as a starting point for students wanting to get more involved in campus life. Sending her students out to cover school events, the digital journalism soon evolved into a weekly news broadcast. Each year, Nguyen works to add a new dimension to her curriculum. In 2016, she added animation and graphic design elements to the courses. The video classes are open to all Hillview and Granada seventh- and eighth-graders, who must audition before enrolling in the class. 050317_EWCSD_DVA1: For the third consecutive year, Hillview Middle School students were recognized by the Los Angeles County Office of Education for their self-produced public service announcement videos, earning two of LACOE’s Digital Voice Awards on April 26. For the third consecutive year, Hillview Middle School students were recognized by the Los Angeles County Office of Education for their self-produced public service announcement videos, earning two of LACOE’s Digital Voice Awards on April 26.